The Villa Vicha is a 3-star hotel in languedoc Roussillon. 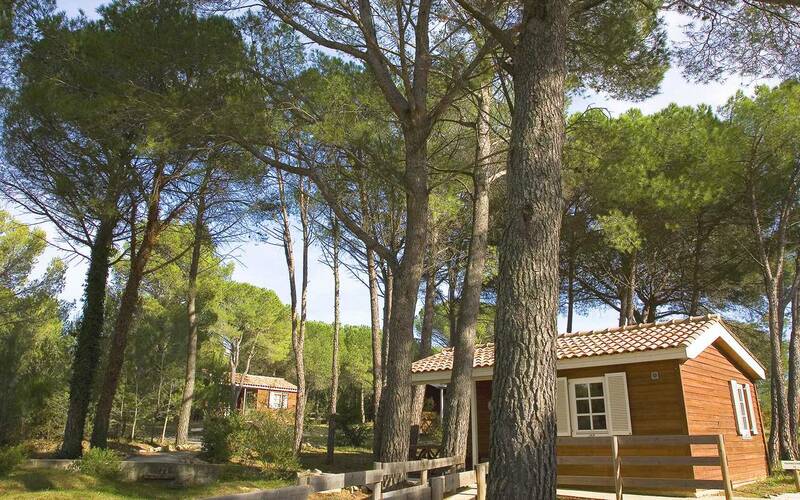 Located in Aubais (Gard), you will enjoy a real haven of peace. You will be able to fully enjoy your holidays with family or friends in this comfortable and natural environment hotel. In a vast area of ​​5 hectares, you will appreciate the calm and the sweetness that reigns in this hotel. Ideal to provide you escape moments in the heart of an authentic and totally natural environment. The refined decoration of this hotel and its natural spirit make this hotel in Languedoc Roussillon an ideal place for successful holidays. During your holidays in Languedoc Roussillon, discover one of the chalets of the Villa Vicha hotel. The surface of the rooms of Villa Vicha extends from 25 to 50m², they are all decorated in a traditional and refined spirit and offer you a great comfort during your stay. For a dream vacation in Languedoc Roussillon, let yourself be tempted by a hotel in the heart of nature. You will be able to benefit from the tennis court of the establishment to have fun with family. You will also be able to test our spa for a zen moment. Discover the uniqueness of the Languedoc Roussillon region for your stay at the Villa Vicha hotel. The local gastronomy will surprise you with the famous Tielle, the Brandade, the stuffed mussels, the Rousquilles du Vallespir or the Languedoc Croustade. To accompany these typical dishes, the regional wines are very nice with and high quality, fruity and concentrated they evolve all roundness and finesse in your palate. To facilitate digestion, a walk to the Pont du Gard or on the banks of the Canal du Midi or Thau pond will be nice! Our staff will help you to plan your trip in Languedoc Roussillon.